Ok... 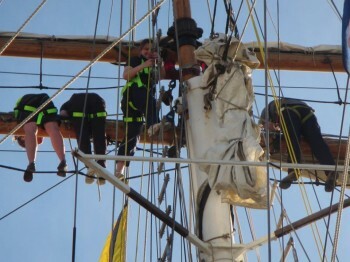 I've written a few articles (at least 3 for now) and to put them into context they are based on text from a book I am currently putting together pertaining to the Tall Ship Festival that occurred in Port Adelaide in August and September of 2013. The primary aim of the book is to bring awareness to and celebrate what the participating tall ships are doing and achieving through their respective Sail Training/Voyage Programs. Just a taster, but I hope you enjoy them!